I promised some progress on the Ella Funt sweater on my next post so it took several days to get enough completed to be worthy of a picture. I am finally to the color work yoke section which is where the fun really begins. 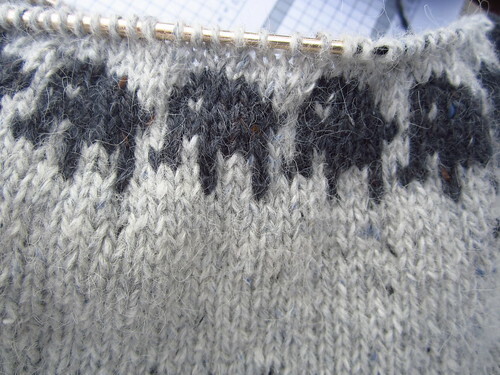 As you can see I have completed the first section, which is the adorable little elephants and the first set of decreases. I don’t do color work very often but who could resist this, I ask you? 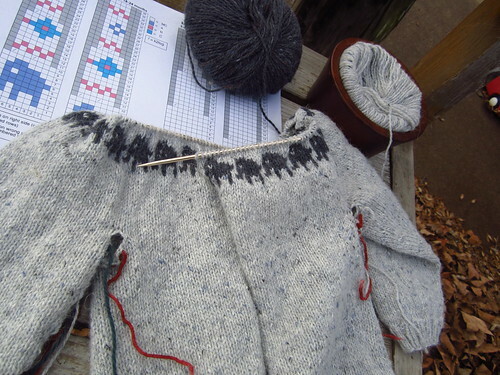 I can see the rest of the sweater going very fast so it should be all done in a few days. 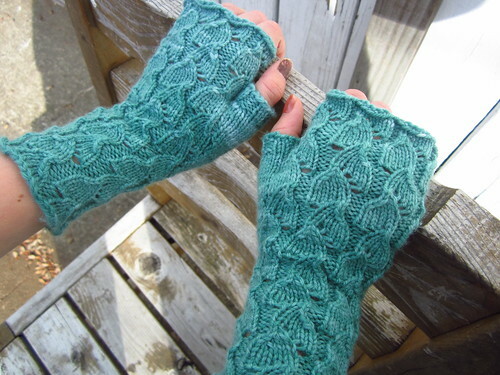 I actually have some more gorgeous knitting to share with you today, although it’s not mine. 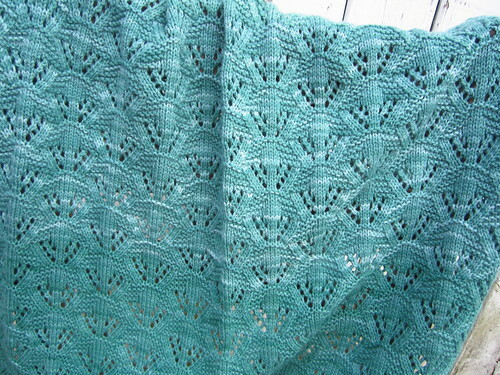 I sent some Classic Merino Sport off the Kristi to knit another Cradle Me blanket for the booth since the original I knit is Elijah’s “blankie” and therefore is NOT an option to take it for the booth anymore. 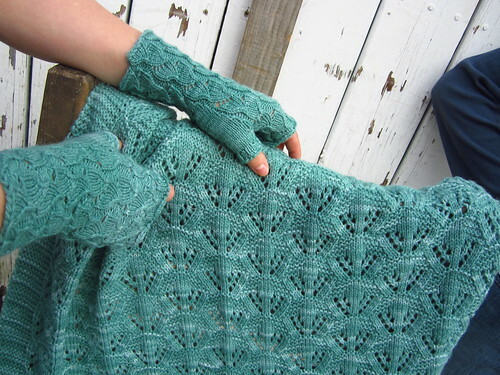 She has knit for me before and does such a wonderful job! Isn’t it delicious? She had plenty of yarn left from the three skeins I sent her for the smallest size so she volunteered to make pair of Fallberry Mitts with some of it. I think they are exquisite! Thank you so much Kristi! Well done. Let’s see, what else do I have to share today? Oh, yeah! 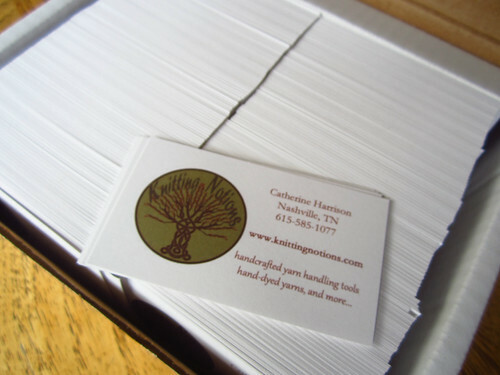 I made some new business cards with the new logo and just got them from the printer. We still need to design an new banner for the booth and redesign the labels, but I like the changes so far. I also finished reading The Woman in White by Wilkie Collins this morning. I don’t know why I had the idea this was going to be a ghost story? It wasn’t. I did enjoy it though. I guess this would be classified as a mystery? It’s not really a murder mystery either though. Like a good mystery, it does wrap itself up nicely at the end with most of the characters getting their just desserts.